Swing it faster, hit it further. It's pretty rudimentary physics, really. 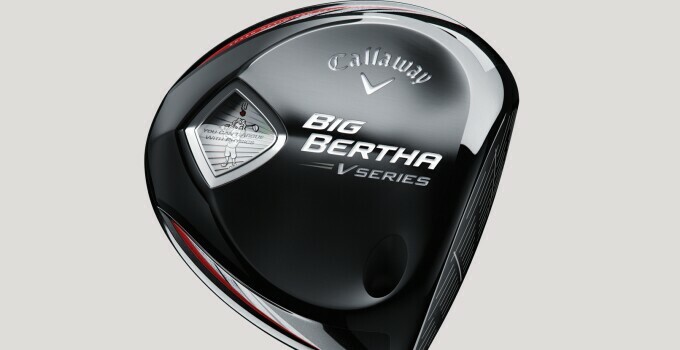 It makes sense, then, that Callaway Golf's new Big Bertha V series was designed to increase your swing speed. The driver weighs in a mere 290 grams, complete with pieces using Forged Composite material, making it easier to swing with more speed. The shape of the clubhead, Callaway says, will further increase a player's swing speed. As you'd expect, the face of the club is as forgiving as most modern drivers, maximizing distance on those missed hits we all have way too often for our liking. The driver also feature the company's OptiFit technology, allowing a player eight different combinations in loft (-1, no change, +1 or +2 degrees) and lie angle (neutral or draw). The driver will be available in 9-, 10.5- and 13.5-degree HT options. Each one is 45.5 inches long with a 460cc head. The 9-degree club has a Speeder 565 shaft; the 10.5-degree and 13.5-degree HT models feature a 42-gram Mitsubishi Bassara shaft. The drivers will be available on Aug. 22 for $399, with fairway woods (3, 5, 7, 9 and a new Heavenwood) running $249.